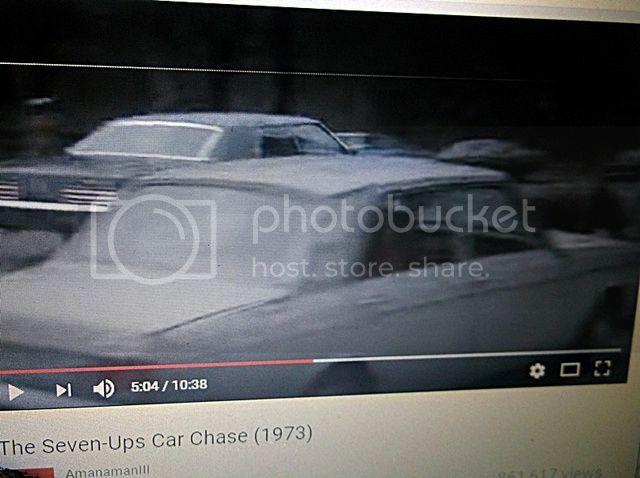 I was watching a clip from the French Connection and saw this Hillman hunter,part of the GM family,so what would the make and model have been stateside? If I remember right, during that time there was a Plymouth Cricket stateside that I understand was a re-badged Hunter. I do not recall those cars being connected with GM at all but shucks, what do I know? To Err is human, to blame it on someone else shows management potential. MM, when this car was shipped over the big pond it was simply a Hillman. The parent company (I think its was rootes) had no ties to the US until Chrysler purchased it in '68 or'69. As a side note this company also produced the sunbeam tiger. Trainwreck. The cricket was an avenger,used to own a Humber scepre whuch was a posh hunter - gave my neighbour Mr Hubert a lift home - he was the proverbial english gent in his 80s and it made his day getting a ride in a Humber! The Plymouth Cricket was actually a rebadged Hillman Avenger. The Hillman Hunter, Minx and the last Humber Sceptre shared the same body style and were produced by the Rootes Group (Hillman, Humber and Sunbeam) just before being acquired by the Chrysler Corporation. The Hillman Avenger that followed on under Chrysler was nothing to shout about considering its name! Chrysler traded on the Tiger name from the V8 Tiger based on the Sunbeam Alpine sports car, and brought out a version named the Avenger Tiger with a bit of tuning and a spoiler bolted onto the back. As far as I can remember they were all painted orange with black trim stripes. All in all a bit of a pathetic car really, and a bit of an insult to the original Tiger. Forgot to mention in last post that back in the late 60's the Hillman Hunter / Minx bodies were being built at the Pressed Steel Fisher Plant next door to the Morris Cars Plant at Cowley, Oxford in the UK. The two factories are still there and now owned by BMW who produce all the versions the MINI there. The Hillmans were sold here in Australia under the Rootes Group name until mid-60s when taken over by Chrysler. I think Hillmans were sold here until mid 70s or so. Trivia: the first London to Sydney Marathon in 1968 was won by a Hillman Hunter driven by legendary Scot rally driver Andrew Cowan. Cheers. Sorry to disappoint you BUGATTI FAN but not "all the versions of the MINI" are produced at Cowley. A large proportion of MINI production is sourced from factories in The Netherlands & Austria. Incidentally, Chrysler sold what was once the old Rootes Group to Peugeot-Citroen who produced the Peugeot 308 at the old Hillman factory at Ryton, near Coventry, for a few years before taking a £384million grant from The Europeen Union to close the factory & move production to Slovakia.